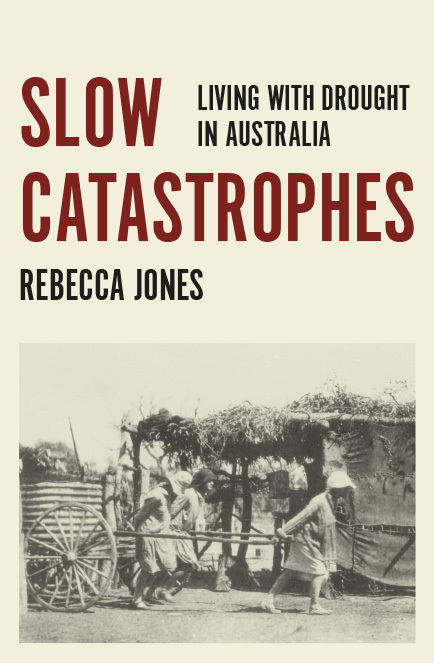 Slow Catastrophes explores the way people have lived and worked with drought in Australia. We feel we understand drought and yet there is more to this story than dead sheep, dry dams and cracked earth; the long history of drought has goaded people to adapt and respond creatively. This history is revealed through the personal, intimate stories of eight farming families living between the 1870s and 1950s. Each of these households is brought to life, through personal diaries, in the daily rituals of life on the land in different times and places, in accounts of families, communities, weather and political events. More than a history of farming, this is a picture of humanity, resilience, emotions and creative ways of adapting to a changing climate which reveal stories of national and global importance. Living with drought is one of the biggest issues of our times. Climate change scenarios suggest that in the next fifty years global warming will increase the frequency and severity of drought; Slow Catastrophes suggests new and surprising ways in which people have learned to cope with a variable climate which is a constant presence in their everyday lives. 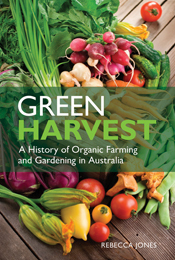 Green Harvest explores the ideas and practices that have shaped organic farming and gardening in Australia from the interwar years to the present day. It reveals that Australian organic farming and gardening societies were amongst the first in the world, being active as early as the 1940s. In what way does human health depend upon the natural environment? Green Harvest traces this idea through four themes of Australian organic farming and gardening – soil, chemical free, ecological well-being and back to the land – each illustrated with a case study profiling an Australian organic farmer or gardener. Personalities in Australian organic gardening, such as Jackie French and Peter Bennett, talk about organic growing. The book also features extracts from early organic magazines and interviews with current organic growers, including banana and macadamia farmers, managers of outback sheep stations, dairy farmers and self-sufficiency gardeners. All of these tell the story of Australian organic farming and gardening: past, present and future. 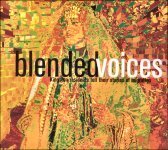 Blended Voices is a compliation of stories from thirty-nine people who migrated and settled in Australia between 1950 and 2000 and now live in Kingston in the south-eastern suburbs of Melbourne. With candour and courage, these women and men tell their personal stories of leaving their homeland and arriving in Australia; the differences they experienced in a new country; learning to speak English; building communities; and living and working as part of a new society. They come from 24 different countries and under different circumstances. Some came as refugees while others joined family, sought better job prospects or new lives. Some people migrated as children or teenagers and have grown up profoundly influenced by two cultures. Others left their home country as adults and faced the challenges of beginning again.